A few special people have instrument collections born of a private passion, but it is a welcome and rare thing when the collection spawns a place for everyone, where the stories and music of the past are brought into the present and the future. 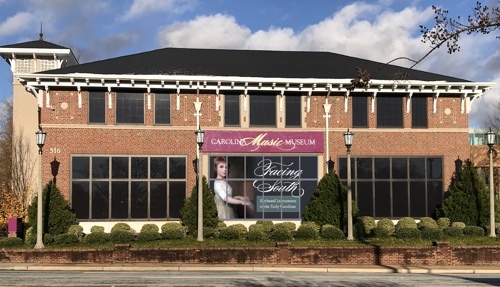 Such a treasure is the newly born Carolina Music Museum in Greenville, SC. The museum opens officially March 27 with “Facing South: Keyboard Instruments in the Carolinas,” an exhibit focusing on 27 instruments associated with the Carolinas between 1700 and 1860. The 1805 Broadwood vertical grand. 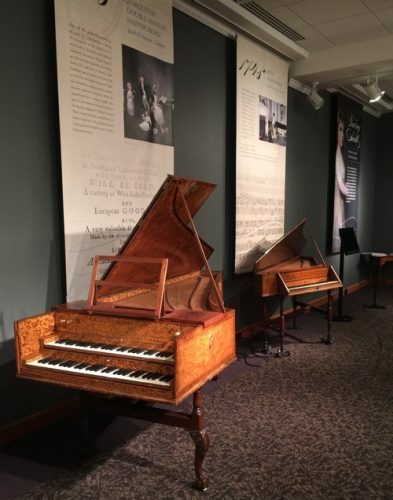 The museum intends the early keyboard collection to remain the core, with the purpose to “illuminate the actual intent of the composers who played them and composed for them.” Indeed, the CMM is heaven on earth for lovers of early stringed keyboards and their music. Arrayed about are spinets, single and double manual harpsichords, 18th- and 19th-century grands and square pianos, and the commanding gold silk-adorned 1805 Broadwood vertical grand. About 40 instruments dating as early as 1570 will be available, some rotating in and out of display. Selected highlights include the 1748 Kirkman spinet, the 1778 Zumpe square piano, the highly ornate 1810 John Geib piano, the 1845 Broadwood grand with ties to Chopin, and various 18th- and early 19th-century squares by North American makers. 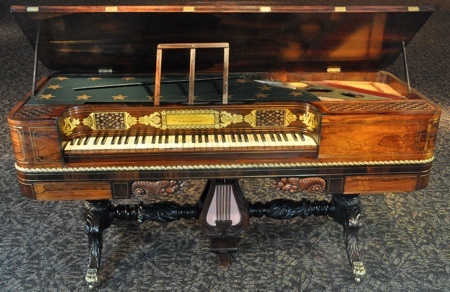 Since the southeastern colonies and later states were primarily connected to England, it follows that English makers are well represented, but there are also treasures from North America and Europe such as the fine 1824 Viennese grand by Johann Schanz. Many of the instruments are playable and have already delighted visiting performers such as David Kim, Andrew Willis, Michael Tsalka, Catalina Vicens, Marcia Hadjimarkos, Marina Rodriguez-Bria, and Dennis James. As always, a lifelong passion begins with first exposure. Tom Strange’s fascination with early keyboard instruments began with a Zuckermann kit clavichord a professor brought to the University of South Carolina, where Strange was a student in the 1970s. His interest simmered in the background as he earned degrees in physics and developed an illustrious professional career in research and development. About 20 years ago, after regular exposure to modern replicas, Strange purchased his first antique instrument, an 1844 Collard & Collard piano. It was the classic sad-looking, decrepit relic complete with animal nests. 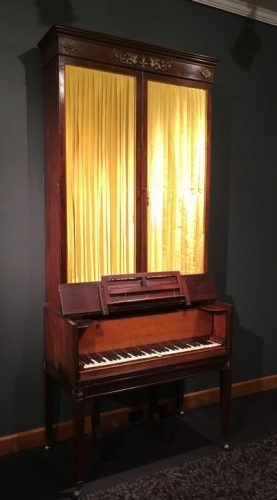 The path of questions along the way to reviving this instrument to playing condition led to connections and friendships with private collectors, restorers, and museum curators already deep into the historic keyboard instruments world. One contact, one instrument, one query — each led to another, growing the network, collection, and knowledge base. In time, Strange thought of showing the instruments to others. Accepting an invitation to speak at the Greenville County Museum of Art in 2008, he brought along a few instruments, thinking there might be the 25 or so attendees such events usually muster. When nearly 200 people filled the room and balcony, Strange realized the music and stories told by the instruments spoke to the hearts and minds of many. Area schools began sending students to his house each year to experience the keyboards. Young and old alike marveled that these wooden boxes, with their varied mechanisms made by the hands of our forebears, were the instruments of composers, performers, and amateurs creating the music of their time. Michael Tsalka, Dennis James, and Tom Strange gave a preview in January 2018. As a musician, these reactions are close to my heart. My first encounters with historic keyboards changed the direction of my life and work. The answers to my struggles to find the music and meanings within compositions were answered by the touch and sonority of the period instruments, which can teach how to interpret and physically play in a way their modern descendants cannot. It is terribly exciting to know that this opening of ears, eyes, and minds is being expanded in ways beyond what those of us playing concerts and having a few visitors to our own collections could ever manage. Realistically, however, can visitors benefit from such experiences beyond immediate entertainment? Though returning to the modern world, they can indeed take something priceless away, especially in how they approach playing, interpreting, and listening to music from earlier times, even on modern pianos. Relatively simple changes can make a huge difference, such as using far less or more pedal, understanding appropriate volume levels, what the timbre of a Viennese piano in the high treble implies for the music, how the different timbres across the keyboard create a multi-voiced choral or orchestral effect instead of the homogeneous timbre favored by modern instruments. A new appreciation, for example, may be found for a Clementi sonatina that may sound trite on modern piano, but dances on an early square piano. Interesting programming and connections are already building the Carolina Music Museum’s broad appeal. 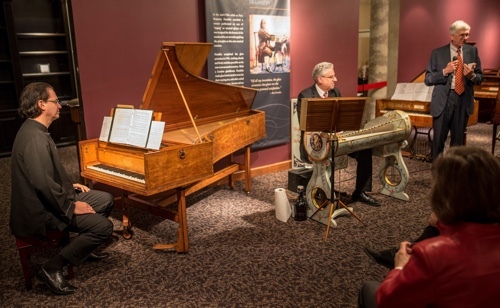 January 2018 saw an exciting preview with a large audience enjoying Dennis James playing his glass armonica along with Michael Tsalka on an 18th-century Broadwood piano in honor of the 311th birthday of Benjamin Franklin, inventor of the mechanical glass armonica. The museum will display the famed Utley Collection of Brass Instruments, part of the National Music Museum in Vermillion, SD, much of which has been housed at the Utley home in Spartanburg, SC. In May 2017, the collection hosted the Historical Keyboard Society of North America’s 2017 annual meeting. The Carolina Music Museum will doubtless be a destination location for many similar gatherings. The museum building once housed the Coca-Cola Bottling Company. It is located in the vibrant city of Greenville in the beautiful foothills of the Blue Ridge Mountains, within easy drives of Atlanta, Columbia, SC, and Charlotte, NC. Fortunately, initial plans to utilize a historic mansion fell through, as the current location could not be better. With city support, the CMM joined Greenville’s cultural heart on Heritage Green along with the Upcountry History Museum, the Children’s Museum of the Upstate, the Greenville County Museum of Art, the Hughes Main Library, and the Greenville Little Theatre. This physical and psychological proximity is a major advantage, attracting locals and tourists as well as presenting opportunities for outdoor events and shared programs. Can Jane Austen and Shakespeare evenings, bluegrass on the green, and other events be far behind? The building itself is a restored piece of history, the last remaining section of the Coca-Cola Bottling Company that occupied Heritage Green. The historic 1930 building’s character is beautifully preserved while providing 8,000 square feet of brightly lit, freshly painted, and furnished spaces for display, performances, workshops, storage space, offices, and meeting rooms, all with state-of-the-art climate control. Rounding the bend from the entry foyer and gift shop area, the visitor enters a well-lit open space ringed by the beautiful instruments. Behind each keyboard hangs a large, attractive informative banner, while audio handsets feature recordings of the instruments to supplement trained docents. The room doubles as a sizable performance space. Another slightly smaller performance space is found on an upper floor along with offices and meeting rooms. A side room will house a library with print material and space for workshop projects. Often, there will be an unrestored instrument in a state of examination or in process. Mission Statement: To celebrate, entertain, and inform audiences of all ages about the rich musical history and traditions of the Carolinas through historic period and culturally significant instruments. 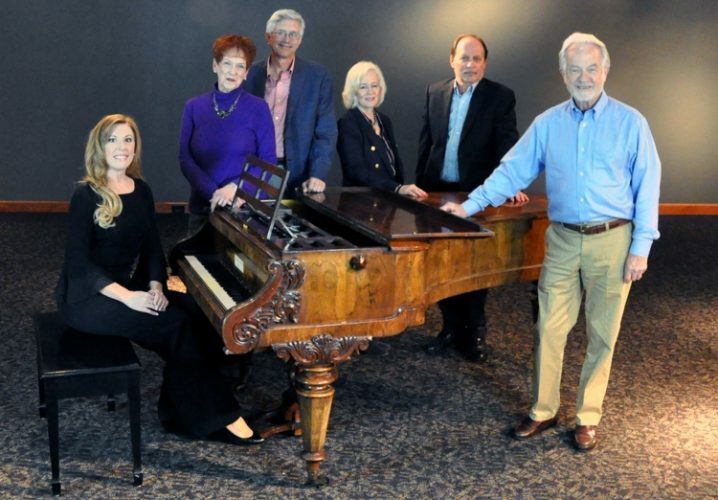 Vision Statement: To be the leading center for preserving and celebrating the musical narratives of the Carolinas and the Southeast, through educational programs, exhibits, and performances by distinguished artists with access to a world-class collection of historically significant instruments. A section of the museum’s “Facing South” exhibit. Understanding that the prospects of museums with only passive displays are limited, the museum will present varied, changing, dramatic, and interactive exhibits, performances and educational events that “will engage students and adults in our community” and become a go-to place in upstate South Carolina. It plans to include instruments, music, and performers representing other aspects of the past, present, and future of music in the region, including Native American, Appalachian, African-American, French Huguenot, Middle Eastern, Asian, and European. In the works are programs featuring musician, recording artist, and Middlebury College professor of ethnomusicology Damascus Kafumbe, a specialist in music of East Africa. Importantly, the founders recognize that it is not just STEM the world needs, but STEAM to power education and life; in other words, science, technology, engineering, and mathematics also need the arts. In the spirit of successful programs such as those at the National Music Centre in Calgary, Alberta, the CMM plans to work with schools to create programs that integrate art, music, science, engineering, and literature to engage the students hands on, especially those from underserved schools. Beyond the serious logistics of creating a museum from a collection, how do you ensure its longevity? Manhattan’s Museum of the American Piano closed in 2003 after 20 years. Despite attempts to reopen elsewhere, the collection essentially died with the 2005 retirement of its founder, Kalman Dietrich. Even the marvelous, long-lived Finchcocks in Goudhurst, Kent, U.K., only continues in a limited version, the casualty of the looming expenses of its Georgian-era mansion and aging of its beloved founders, Richard and Katrina Burnett. As Strange bluntly put it, “What happens after Tom?” Ever the researcher, he investigated, visiting collections and museums, learning of successes and failures at many levels. Of particular help was John Watson of Colonial Williamsburg, and indeed one can see similarities between that institution’s excellent exhibit, “Changing Keys,” about keyboard instruments in Virginia, and the opening exhibit at the CMM. At a meeting in Williamsburg of colleagues involved in the history, preservation, and future of keyboard instruments, Strange presented the relevant issues followed by much discussion. It takes a village, and a lot of work. A museum was born. A Nunn Brothers square piano. Does the CMM have what it takes to continue its mission as a valued resource for musicians, organologists, scholars, and the greater community? Museums today exist in an interactive world competing for people’s attention and must also be interactive, inviting places. Whatever its altruistic motives, a museum is also a business, and to neglect a sound financial and legal basis is a recipe for failure. Area television and press have been giving excellent buzz. The museum’s website is up and running. 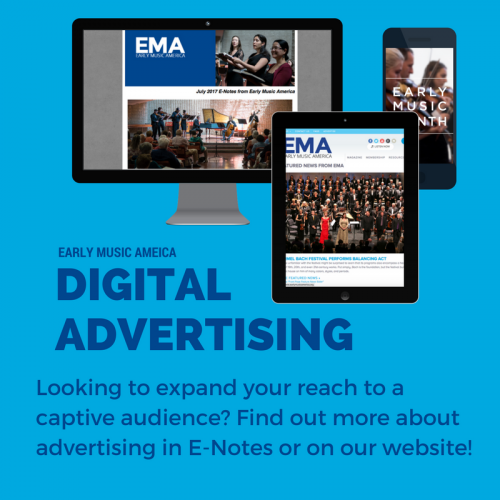 Mutually beneficial connections, such as its association with the National Music Museum, will broaden its appeal. Its instrument adoption program, which provides budgetary consistency in a method that gives the donor pride in virtual ownership, is off to a fine start. Here is a new performance venue for new audiences — a place welcoming ideas, programs and performers, and building greater audiences and enthusiasts for the future of music. After all, what is more integral to the expression of humanity than music and storytelling, and marveling at the ingenuity of our kind? Anne Acker is a full-time historic keyboard specialist, restoring and building replicas, performing on, writing, and lecturing about stringed keyboard instruments. Founder and musical director of Savannah Baroque, she was a Senior Editor for the Grove Dictionary of Musical Instruments, 2nd ed.